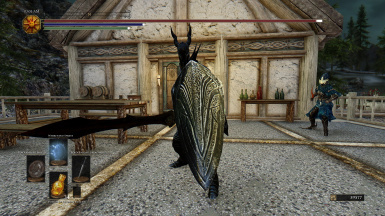 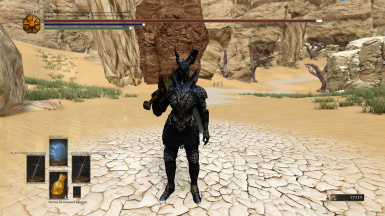 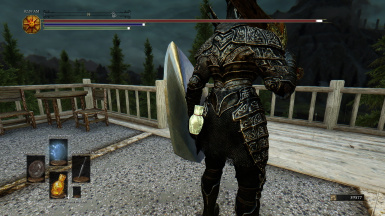 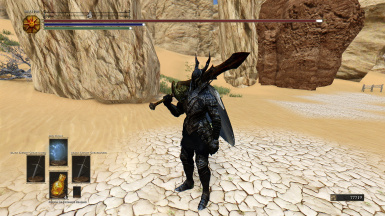 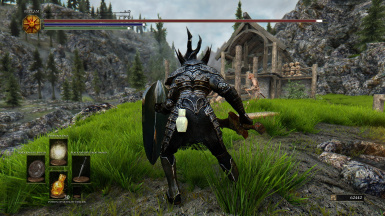 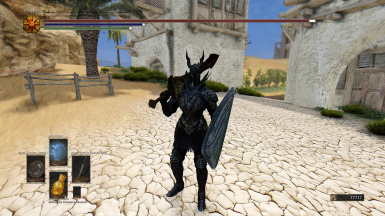 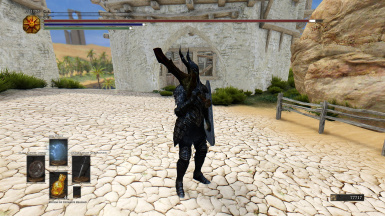 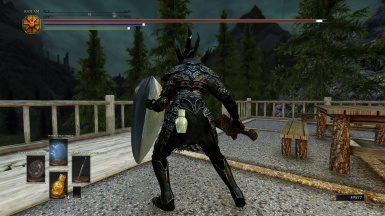 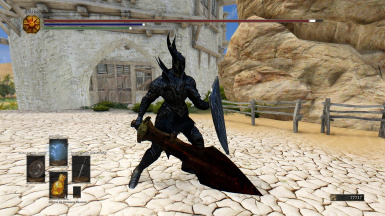 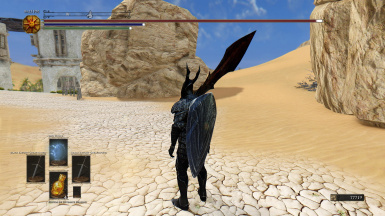 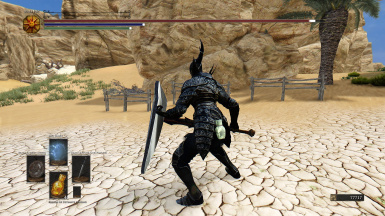 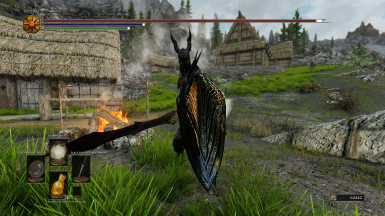 The Black Knight Shield from the Dark Souls series added to Skyrim. 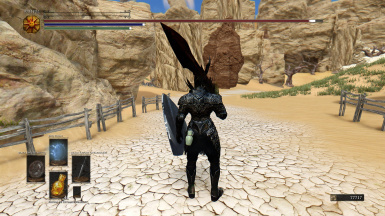 VERSION 3 UPDATE!!! 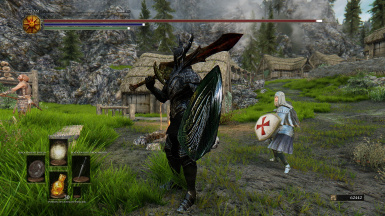 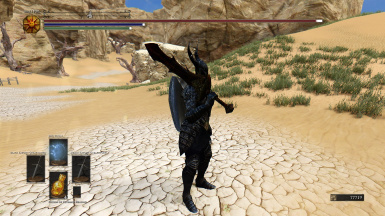 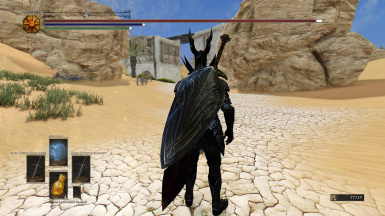 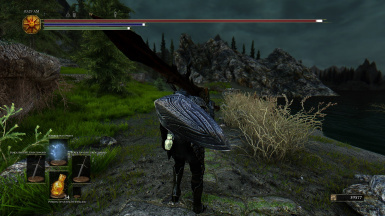 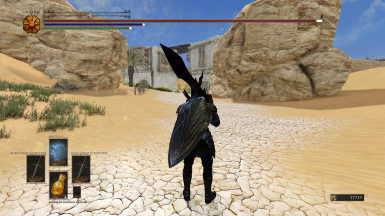 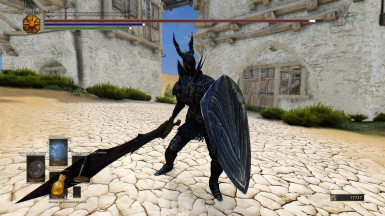 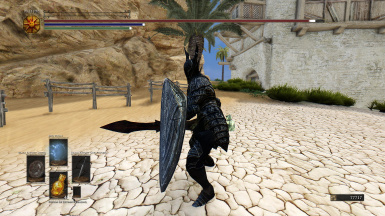 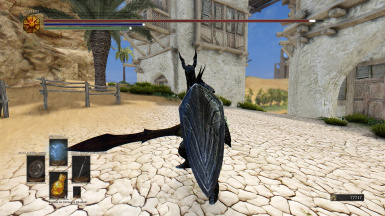 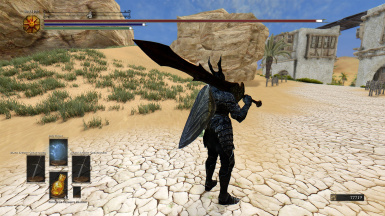 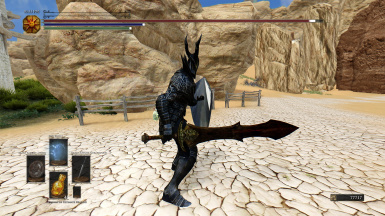 Version 3 contains the new updated textures to make the DS Black Knight Shield a bit lighter than version 2, which was too dark for certain ENBs that makes background darker, and the shield OnBack nif has been adjusted. 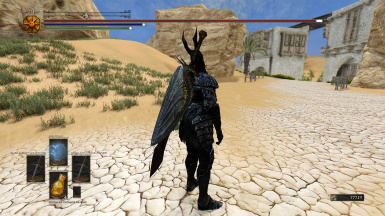 "Shield of the Black Knights that wander Lordan. 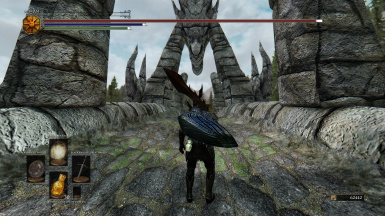 A flowing canal is chiseled deeply into its face." 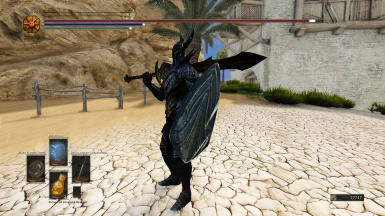 "Long ago, the black knights faced the chaos demons, and were charred black, but their shields became highly resistant to fire." 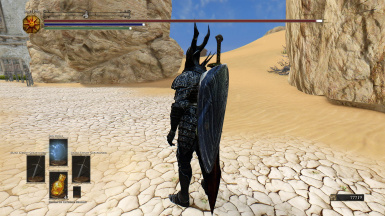 "Shield of the Black Knights who roam the lands. 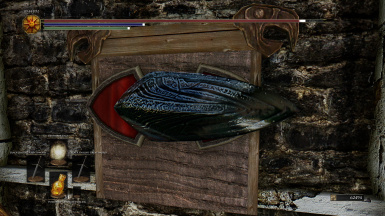 A flowing canal is chiseled deeply into its face. 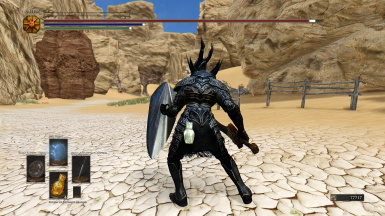 Long ago, the black knights faced the chaos demons, and were charred black, but their shields became highly resistant to fire." 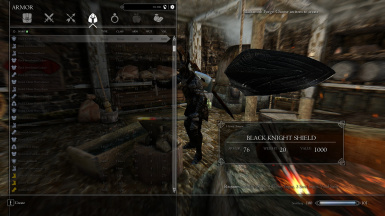 Can be crafted at any forge under the "Ebony Smithing Perk" and can be improved at any work bench. 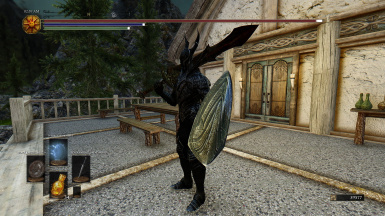 The Shield is also "Dual Sheath Redux" compatible and can extract the mesh for the "equipping overhaul" mod. 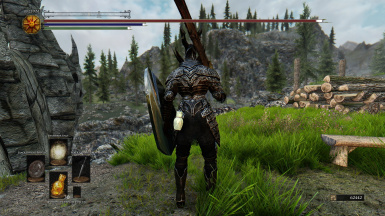 Special big thanks to Jewpwnicus and the Beyond Skyrim Team for guiding me along the way. 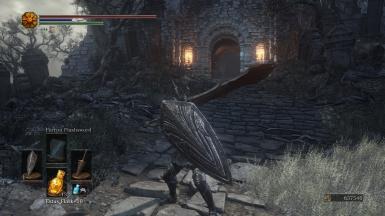 Inspired by FromSoftware for creating the shield. 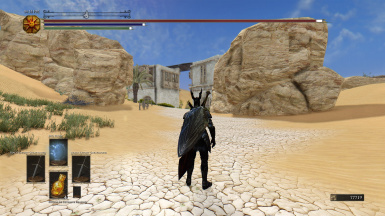 Resources are also in the mod file.